This section of Best Binocular Reviews contains links and information about all the articles and documents and reviews I have written on the subject of night vision and night vision devices. Night Vision Guides: Want to know more about the technologies currently available? This section contains articles and documents that will get you up to speed. 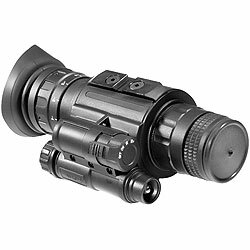 Night Vision Reviews: Links to all the night vision equipment that I have fully tested and reviewed. Brands & Manufacturers: Guides and company info to some of the best known names in night vision products & technology. In this complete buyers guide I select the best Night Vision Monoculars based on a number of specific parameters and in a range of different price points and categories. 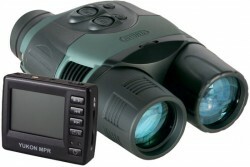 This includes all generations (from Gen 1 to Gen 4) as well as Digital Night Vision Monoculars. The parameters used to choose them include important features of a monocular paying particular attention to the strengths these have over a binocular. This includes size, weight, price and performance against others in their particular class. In this guide we take a look at how night vision works, what current night vision technologies are currently available to you and how each one compares to the others in terms of things like image quality, performance and price. I also explain the differences and relative strengths and weaknesses between night vision monoculars, binoculars and goggles and list some recommendations. Whilst the technology for digital night vision has been around for quite some time now, it is only fairly recently that these devices have been able to compete in terms of performance with the better quality higher generation standard electron bombardment vacuum tube devices. In this article I go over how it works and some of the advantages that they have over standard night vision. I was recently asked for some advice from someone who was looking to get a night vision device for their husband. They had a good budget of $500 / £500 and wanted to know if they should be looking at a pair of NV bins or a monocular. So in this document, I discuss the advantages and disadvantages of each and recommend the best devices that I have tested and reviewed within this price range. This article contains advice as well as some suggestions and is actually in response to a question that I received from someone on a tight budget looking to get some NV binoculars for viewing wildlife in their garden at home. BinoWizard advice given to someone looking for a mid priced (under $400 / £ 380) night vision monocular or binocular to take on safari. I was lucky enough to have some Luna Optics LN-PB3 Night vision binoculars with me to Zimbabwe where I went into the bush and on safari a number of times. When I got back I wrote a report on just what I had seen using the device, how well they worked for me and just why I now believe that some good night vision equipment should almost be considered as essential safari gear. Below are my full reviews that I have written on a whole range of NV equipment, I hope that you find them interesting and more importantly useful! The massive 5x magnification does not stop these binoculars from producing one of the best night time views that I have ever seen on a Gen1 device. This is partly down to the two 50mm all-glass objective lenses that gather as much light as possible and because of the two very high quality generation-1 image intensifier tubes that process this information to make a high quality image. Another real highlight for me was the central focussing wheel which makes focussing quick and simple, which is something taken for granted with standard daytime bins, but not often found on NV binoculars. 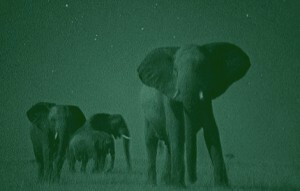 Winner of my award for the best Night Vision device of 2012, they scored a stunning 80% on my scale. 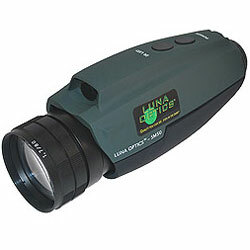 This Luna Optics monocular is very light and extremely compact. What is more is it uses a very high grade Gen2+ intensifier tube with stunning results - don't just take my word for it - take a look at the sample photos in the review that I too through the eyepiece with a standard compact camera. 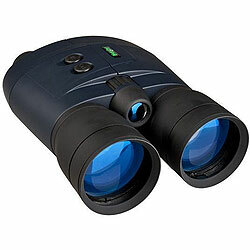 These very powerful 5x magnification Night Vision binoculars use Gen. 1 technology and come with a body that looks like and feels just like your standard binocular and includes familiar features like an inter-pupillary adjuster. This night vision monocular with built in IR illuminator comes with a very powerful 5x magnification and large 80mm objective lens. As with all Luna Optics gen1 products they use the best grade intensifier tubes. 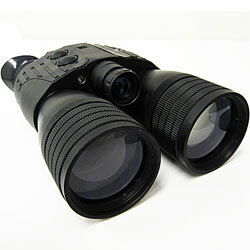 This monocular from Night Owl Optics sets a new standard in digital night vision. Performance wise it easily matches and even beats the Gen1 and Gen 2+ devices I tested them against. The best image possible is also at your fingertips with full exposure and gain controls. On top of this you can also take pictures and record video with the iGenIC 20/20. Scoring an excellent 73% on my scale, this high end night vision binocular from Luna Optics uses the very best quality Gen. 1 intensifier tube (yes, they are not all created equal) that, combined with the two 50mm objective lenses and the optional extra or built in laser IR illuminator produce a very good quality and high resolution even on the darkest of nights and even in complete darkness. Below is a list of some of the best know names in Night Vision, the links with take you through to more information about the companies and some of the devices that they offer. Short for American Technologies Network Corp, ATN do also produce some day time optics, but it is in the world of Night Vision where they are renowned. The ATN Corporation develops, produces and indeed supplies the biggest line of night vision equipment in the world and includes standard binoculars and scopes and of course a whole host of Night Vision, Thermal Imaging, Laser Rangefinders and Laser Sights. In the world of optics, there is not a lot that Bushnell don't make and this includes night vision equipment. Probably best known for their entry level monoculars and goggles ideal for those wanting surveillance, camping or night time wildlife observation equipment at a lower price. 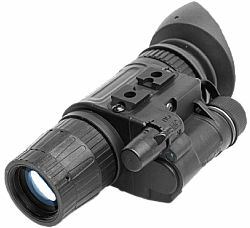 Luna Optics products are I think produced in Belarus or Russia, but their nerve center is in the USA and they supply high quality night vision gear with technology that was developed for the military all around the world. The company has a impressive portfolio of NV equipment and accessories including goggles, binoculars, monoculars as well as rifle scopes. 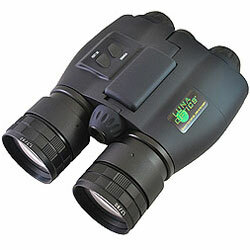 An industry leader, Night Owl Optics produce a wide range of Night Vision Devices that includes binoculars, goggles and monoculars. Most of which amplify any available light using the traditional electron intensifier tube technology. 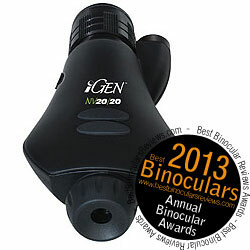 However their iGen 20/20 Digital Night Vision Viewers use their own proprietary technology that they say outperforms standard Gen-2 products and even matches Generation 3 ones at a fraction of the cost. View >> All Night Vision Devices that I have fully reviewed.